AAA Hawaii is alerting motorists about a National Highway Traffic Safety Administration warning to owners of 313,000 older Hondas and Acura vehicles not to drive their vehicles until their recalled Takata airbags are replaced. Cars located in humid areas of the country, such as Hawaii, are at particular risk. There have been 10 U.S. deaths connected to Takata airbags and eight deaths were in cars that had this specific airbag, according to the Automobile Club of Southern California’s Automotive Research Center’s Manager Megan McKernan. The 313,000 unrepaired Honda and Acura vehicles are a subgroup of 70 million U.S. vehicles with Takata airbags that already were recalled or are expected to be recalled by 2019. What Should a Consumer Do When Faced with a Safety Recall? How should consumers determine if a safety recall or a technical service bulletin has been issued for their car or truck? Watch the mail. Mailed recall notices should now be easier to identify. 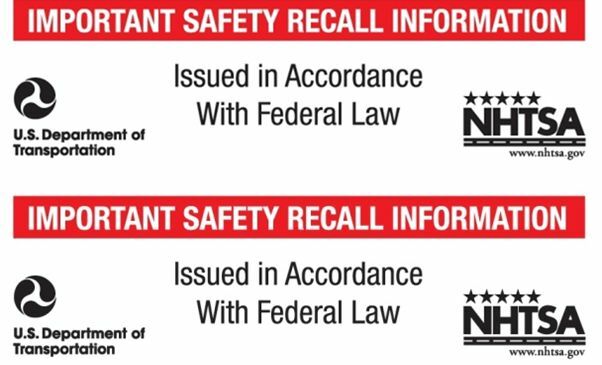 A new NHTSA rule means all manufacturers now must use a distinctive label on required mailings that notify owners of recalled vehicles or equipment. The new label says “Important Safety Recall Information” in red and black, along with the phrase “Issued in Accordance with Federal Law,” and U.S. Dept. of Transportation and NHTSA logos. Download a free app. The SaferCar app is available for Android, iPhone, iPad and iPod Touch, and helps consumers find recall information and up-to-date vehicle safety information, search the agency’s 5-Star Safety Ratings for vehicles by make and model, and subscribe to automatic notices about vehicle recalls, among other features. Go online. At safercar.gov, consumers can start at the right-hand side of the home page under “Safety Recalls” and follow the prompts until asked to enter their vehicle identification information to find out if a recall has been announced for their car or truck. Safety recall repairs are paid for by the manufacturer, regardless of warranty considerations, McKernan said, and manufacturers may voluntarily issue their own safety recalls after notifying NHTSA. More information can be found on AAA Hawaii’s website automotive section. Another lesser-known type of repair notice is a technical service bulletin. These are recommended repairs to correct specific vehicle problems if consumers complain about them when they visit their dealer. If you learn about these repairs, you can take the car or truck to the dealer and have repairs made while the vehicle is still under warranty to cover the repair costs, said McKernan. As your vehicle is brought in for service, ask the service advisor to check for bulletins covering the problems you may be experiencing. In some cases, repairs listed in the bulletin may be covered by the manufacturer “service campaign” that provides free or discounted repairs, even if the warranty has expired.